The 11th Essential is in the process of updating our website to better serve our Masterson Method® equine clients. In the meantime, you can schedule appointments, ask questions, and say “hi” through our Facebook page. 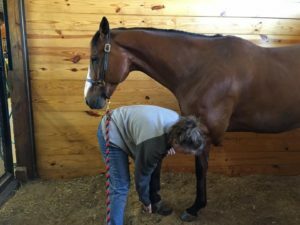 There are some wonderful options available for relieving your horse’s tension. We are based in New Hampshire but are able to travel for bodywork sessions and coaching sessions.